Earn a $125,000 salary and join a team of master teachers at The Equity Project (TEP) Charter School, recently featured on the front page of the New York Times: http://www.tepcharter.org/nytimes.php. TEP is a 480-student 5th through 8th grade middle school in the Washington Heights neighborhood of New York City. The College of Mount Saint Vincent (Riverdale, New York) seeks an Assistant Professor of Teacher Education with a strong student-centered focus and an earned doctorate to start in Fall 2013. A strong record of teaching experience in diverse collegiate and elementary school settings is preferred. Responsibilities include teaching undergraduate and graduate foundation and curriculum courses, advisement and supervision of students at nearby schools. Knowledge and skill in mathematics, social studies, science and technology are needed. Terms of appointment and salary are commensurate with credentials and experience. requirements: Experience working with students with disabilities and/or with second language learners is highly desirable. Additional responsibilities require the candidate to engage in scholarly and professional activities; perform college and department service including program development; assist with TEAC accreditation reviews and outcomes assessment; develop and maintain partnerships with public schools. College of Mount Saint Vincent is committed to provide equal opportunity, employment, and advancement opportunities to all individuals. The College of Mount Saint Vincent does not discriminate in employment opportunities or practices on the basis of race, color, religion, gender, sexual orientation, national origin, age, disability, marital status, amnesty, or any other characteristic protected by Federal, State, or Local Laws. Send your curriculum vitae, cover letter, teaching philosophy, two letters of recommendation and three additional references who can speak to your professional qualifications to HR@mountsaintvincent.edu. Review of applications will begin immediately and continue until filled. The College of Mount Saint Vincent (Riverdale, New York) seeks an Assistant Professor of Special Education with a strong student-centered focus, an earned doctorate and a strong record of teaching experience in collegiate and K-12 school settings to start in Fall 2013. Desired qualifications include a minimum of three to five years experience in urban settings of culturally and linguistically diverse populations of students with disabilities. Additional knowledge of the use of assistive technology and expertise in Autism Spectrum Disorder and Applied Behavioral Analysis are highly desirable. A successful candidate will demonstrate a strong commitment to scholarship, service and teaching. The College of Mount Saint Vincent is an academically excellent, authentically inclusive, Catholic and ecumenical liberal arts college with approximately 1,300 undergraduate students and 225 graduate students located in the Riverdale section of New York City. Our beautiful 70-acre campus of rolling lawns and wooded hills overlooking the Hudson River is just 12 miles from midtown Manhattan. Send your curriculum vitae, cover letter, teaching philosophy, two letters of recommendation and three additional references who can speak to your professional qualifications toHR@mountsaintvincent.edu. Review of applications will begin immediately and continue until filled. Responsibilities include teaching undergraduate and graduate courses, program development, advisement, and supervision at nearby schools. 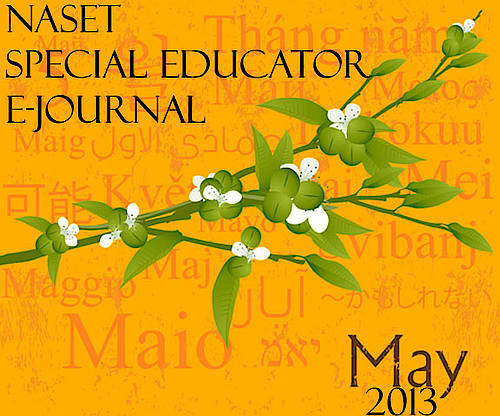 The ability to build strong collaboration between general education and special education faculty is highly desirable. Additional responsibilities require the candidate to engage in scholarly and professional activities; perform college and department service including coordination of special education programs; assist with TEAC accreditation reviews and outcomes assessment; develop and maintain partnerships with public schools. Terms of appointment and salary are commensurate with credentials and experience. We are seeking Video Feedback Reviewers with certification in bilingual education, math, science, English, special education or social studies. Reviewers will be TNTP employees based out of a home office anywhere in the United States (flexible location). These positions will start training in the late spring and are expected to last through June 2014 with the possible option to extend. This role requires approximately six hours of work per week during the school year with potentially fewer hours over the summer. The salary for this position is $25 per hour. TNTP offers a motivated team of dynamic colleagues, a collegial atmosphere that values professional development and valuable feedback, and the chance to impact the direction of a growing, mission-driven company that is committed to the success of our nation's children. 1. Briefly describe what you consider to be highly effective teaching. When you observe a highly effective teacher's classroom what do you expect to see? 2. Summarize your experience observing and evaluating teachers. Tufts Educational Day Care Center is an innovative year-round, full-day educational preschool and kindergarten program for children from within the Tufts community and surrounding cities. TEDCC serves as a laboratory site for the University and is affiliated with the Department of Child Development, School of Arts and Sciences at Tufts University. The center enrolls approximately 82 children ages 2.9-6. The Mentor Teacher's responsibilities include providing leadership and supervision to a teaching team in the planning and implementation of a dynamic, developmentally appropriate and inclusive program for preschool or kindergarten age children in collaboration with teaching assistants, families, therapists and consultants. Beginning the second year, all mentor teachers and teachers coordinate a center wide program, initiative, or service. In leadership of and collaboration with your teaching team, plan and execute an educational program and physical environment which are developmentally sound, multi-culturally relevant, and sensitive to the range of individual differences reflected in your student, staff, and family populations. Adhere to referral procedures when concerned about child/family development. Supervise your teaching team; develop an effective teaching team which usually includes the Mentor Teacher, two full-time teachers, a graduate teaching assistant, and student teacher or field worker; Prepare for and hold weekly team meetings and individual supervision meetings for your direct reports. Attend and contribute to weekly or bi-weekly supervision meetings with the Director and monthly staff meetings; Communicate regularly with the Parent Coordinator, School Coordinator, Special Needs Coordinator and specialists through regularly scheduled meetings, and on an as-needed basis, and let them know well in advance of changes in classroom and child schedules (field trips, special projects, vacation weeks, etc;). Meet with every family prior to or shortly after school starts in the fall. Make every effort to attend school events like picnics, fund-raisers, and evening parent meetings; Communicate regularly with families via daily verbal contact, bi-monthly emails, progress reports, family conferences and telephone calls. Plan Fall Curriculum Open House and other all-classroom parent meetings as warranted. Prepare and present twice yearly evening Child Study meetings for contact children with special needs; as directed, keep the Director, Parent Coordinator, School Coordinator, or Special Needs Coordinator informed of any vital child/family development and information, safety issues, classroom/teacher related issues, buildings and grounds and maintenance concerns. Maintain a safe environment in your classroom, throughout the school and on the playground. Follow policy related to injuries/accidents/incidents by completing appropriate forms for the Director's signature. Create documentation to make learning visible, inform planning of curriculum projects, encourage collective inquiry and reflection among children, teachers and parents. Use technology (digital cameras, computers) to support the documentation process. Use documentation to assess children's interests and development and as a tool to plan and reflect upon the effectiveness of individualize curriculum. Document both daily curriculum plans and activities. Collaborate with Director to define and fulfill responsibilities required for the successful coordination of a center wide program, initiative or service, (e.g. special friends, research, playground, etc ;). Bachelor's degree in Early Childhood Education and/or related field OR a Bachelor's degree in an unrelated field and EEC Lead Teacher Qualification. Excellent oral and written communication skills; excellent classroom management and organizational skills; proven competence in behavior management; knowledge of and experience implementing developmentally appropriate curriculum for young children; flexible in approach to working with children, families and colleagues. Must successfully complete all appropriate background checks as required. 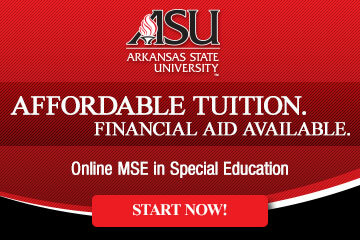 Master's degree in Early Childhood Education or related field. Two (2) years' experience as a Lead Teacher and supervisor of a teaching team. Skill in designing classroom environments. Knowledge of and experience with the ideas of Reggio Emilia Schools, Italy. Experience with the Project Approach to Curriculum Development. Experience with Documentation and making learning visible for parents, children, and teachers. Experience using media and technology in the classroom. Knowledge of and experience with the principles of Anti-Bias Education. Attendance at monthly evening staff meetings, monthly evening parent meetings, twice-yearly individual parent conferences, child study meetings, and SPED meetings - many of which are after shift hours; flexibility in shift hours (8-3, 8:30-3:30, or 10:30-5:30), and the ability to work additional hours when need to meet the requirements of the position. Tufts University is an AA/EO employer and actively seeks candidates from diverse backgrounds. Tufts Educational Day Care Center is an innovative year-round, full-day educational preschool and kindergarten program for children from within the Tufts community and surrounding cities. TEDCC serves as a laboratory site for the University and is affiliated with the Department of Child Development, in the School of Arts and Sciences at Tufts University. The center enrolls approximately 82 children ages 2.9-6. The Teacher's responsibilities include providing a dynamic, developmental, inclusive program for preschool or kindergarten age children, working with families, therapists, and team-teaching. Beginning the second year, teachers coordinate a center wide program, initiative, or service and may supervise University undergraduate and graduate students. In collaboration with your teaching team, plan and execute an educational program and physical environment which are developmentally sound, multi-culturally relevant, and sensitive to the range of individual differences reflected in your student, staff, and family populations. Adhere to referral procedures when concerned about child/family development. Work with your Mentor Teacher to develop an effective teaching team which usually includes the Mentor Teacher, two full-time teachers, a graduate teaching assistant, and student teacher or field worker; Participate in weekly team meetings and individual supervision meetings with your Mentor Teacher. Attend and contribute to weekly or bi-weekly supervision meetings with your Mentor Teacher and in monthly staff meetings; Communicate regularly with the Parent Coordinator, School Coordinator, Special Needs Coordinator and specialists through regularly scheduled meetings, and on an as-needed basis, and let them know well in advance of changes in classroom and child schedules (field trips, special projects, vacation weeks, etc;) • Meet with every family prior to or shortly after school starts in the fall. Make every effort to attend school events like picnics, fund-raisers, and evening parent meetings; Communicate regularly with families via daily verbal contact, bi-monthly emails, progress reports, family conferences and telephone calls. Plan Fall Curriculum Open House and other all-classroom parent meetings as warranted. Prepare and present twice yearly evening Child Study meetings for contact children with special needs; as directed, keep the Director, Parent Coordinator, School Coordinator, or Special Needs Coordinator informed of any vital child/family development and information, safety issues, classroom/teacher related issues, buildings and grounds and maintenance concerns. Maintain a safe environment both in the classroom, throughout the school and on the playground. Follow policy related to injuries, accidents and incidents by completing accident/incident logs for the Director's signature. Post all appropriate policies and relevant classroom information in a visible place, including child allergies, emergency response procedures, health and illness policy, attendance sheets, hand washing and toileting procedures, location of first-aid/evacuation bag, and child attendance log. Maintain team meeting minutes and team communication log. Create documentation to make learning visible, inform curriculum projects, and encourage collective inquiry and reflection among children, teachers and parents. Use technology (digital cameras and computers) to support the documentation process. Minimum of one (1) year teaching experience with children who have a wide range of individual differences, including special needs. Excellent communication skills, both oral and written and oral and written; excellent classroom management and organizational skills; proven competence in behavior management; knowledge of and experience implementing developmentally appropriate curriculum for young children; flexible in approach to working with children, families and colleagues. Attendance at monthly evening staff meetings, monthly evening parent meetings, twice-yearly individual parent conferences, child study meetings, and SPED meetings - many of which are after shift hours; flexibility in shift hours (8-3, 8:30-3:30, or 10:30-5:30) and the ability to work extended hours when necessary to meet the requirements of the position. If you have any questions, please email us at mastereducator.recruitment@dc.gov. The Special Education Teacher shows an unwavering commitment to improving the knowledge, skills, and lives of students with disabilities. Special Education Teachers ensure that students meet academic success in their classrooms as measured by achievement on Individualized Education Program (IEP) goals, student grades, and the PSSA. Mastery is looking for teachers who are committed to outrageously high expectations and high support for students. To apply for a position with Mastery Charter Schools, please visit the 'Careers' section of the Mastery website (www.masterycharter.org) to submit an application. Please note that only application materials which are submitted online will be reviewed.